Very compact unit, with optional integrated GPS unit and microprocessor. The unit is discreet and the tracking version can be left onboard and will send its location either on a timed basis, or it can be "pinged" to deliver an instant position report. In the case of theft this allows the vessel to be recovered quickly, and of course it provides comfort that the vessel is "where you left it". Combined with our online tracking and ships log system you can use it to show your friends a "breadcrumb trail" on an interactive map of your last trip! Annotate the adventure with photos and more! Excellent voice quality and because the main unit and all the wiring can be hidden away behind a bulkhead, it's much neater than a portable system, especially when using the external antenna. Highly recommended! Cabling and main unit can be hidden out of sight behind bulkhead with only handset on display! 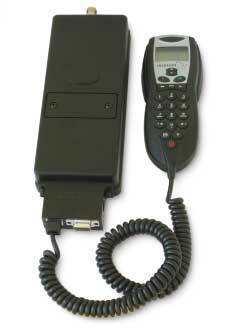 4x16 alphanumeric, 32 digits, multiple languages, clock, ringing tones, IDD key, call forward, voicemail, SMS (160 characters). 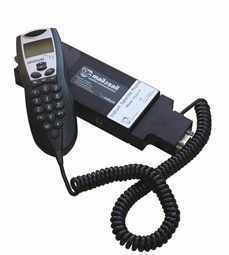 Tough base unit, DPL Handset, DC Adaptor, Marinised External antenna + mounting bracket and user manual (See Iridium Accessories for more details on these items). 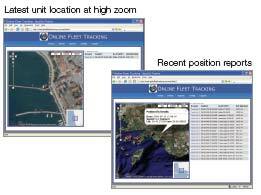 Fleet Viewer - Fleets with multiple vessels will appreciate our fleet viewer which shows the location of all vessels along with risk management information. "teleport-blog" Integration - For individual users our superb Web Diary system is fully integrated with the automated tracking and you can post pictures, stories and other information which will be automatically linked to the position reports from the unit. In both cases the units can be "pinged" to obtain an instant position update, or set to report their position on a timed basis. We also offer integration options for events such as the ARC where the unit will automatically handle the position reporting requirements for the event! The Iridium 9522-P and 9522-TP fixed phones connect to the PC using a "Serial" connector. 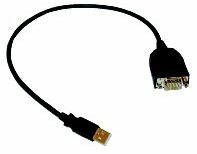 Most laptops sold these days do not have this connector and so an adaptor to convert to USB will be required.